We all have seen patients who will have any of these symptoms for a one-day duration and will stroll into your clinic asking or demanding an antibiotic. Sometimes it can be challenging to deal with some of these patients when you try to educate them that an antibiotic at that juncture of time would not be appropriate. 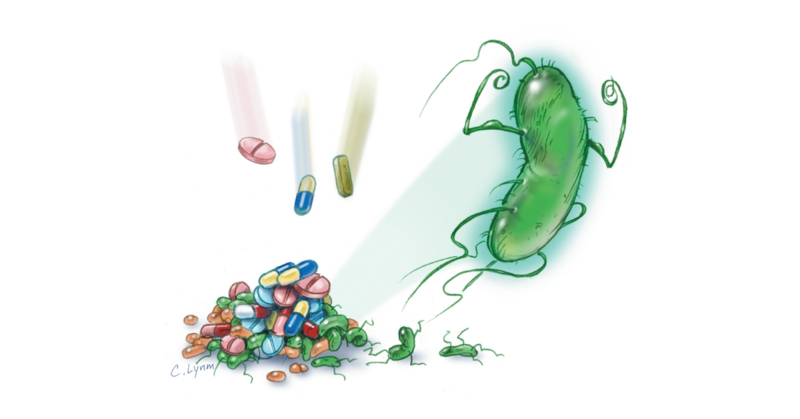 Today we will be discussing the real-life issue of antibiotic over-prescription and resistance. I will hopefully be able to explain to our readers why an antibiotic is not always the best option, and also be able to give our readers, who are healthcare providers, tips on how to discuss this topic with patients effectively. Upper respiratory infections (URI) are seen in primary care facilities around 25 million times per year. Even though the majority of these cases are caused by viruses, an overwhelming majority of these cases are treated with antibiotics. A study on an outpatient clinic found 52,000 URI cases of five days or less duration and subsequently found that 65 percent of these were treated with antimicrobial therapy.1 This type of poorly prescribed antibiotic can lead to antibiotic resistance. For the layperson, this means that when we truly need an antibiotic, if we have a real bacterial infection, it may not work. This leads to a significant risk of severe illness and potential death related to cases of body-wide infection or sepsis. Not only does over prescribing antibiotics cause antibiotic resistance, but it also can lead to increasing prices of these medications, and an increased likelihood of side effects. Lastly, as you see on TV regularly, there are a plethora of new medications being released or approved by the FDA; for example novel medications for COPD, blood clots, smoking, diabetes, and high cholesterol. However, there are not many new antibiotics, that you see coming down the medication pipeline. This makes antibiotic resistance scarier. We already know how complicated infections such as MRSA or VRE can be. One of these days, if there is a new superbug or bacteria, that is resistant to our biggest and strongest antibiotics, then we are all in trouble. So, at what cost are we prescribing a Z-pack for a sore throat for one day with negative testing? The common cold is regularly given an antibiotic in the United States. Symptoms of an upper respiratory infection include cough, sneezing, sore throat, congestion, or a runny nose. This is most commonly a viral illness. Viruses do not respond or improve with antibiotics. Antibiotics kill bacteria. Therefore, giving these types of medications for a common cold is like plugging your television into the outlet when the power is out; it's just not going to work. The important thing in cases of sinusitis is to be able to differentiate between a viral or bacterial etiology. Time is one characteristic to look at. If a patient's symptoms have not been present for 7 to 10 days or longer, it could likely still be viral, and in these cases, which are abundant, an antibiotic should not be prescribed. Some symptoms in addition to the duration that could direct us to a bacterial etiology is if a patient felt somewhat better or relieved with supportive care for a few days, and then their symptoms returned and worsened. This is called double sickening and is a sign of a bacterial infection. If a patient presents in your clinic with mild symptoms of less than seven days duration, watchful waiting is an appropriate plan. One could advise over the counter guaifenesin, regular nose blowing, cool mist vaporizer use, proper hydration, Neti pot/sinus rinses, or a nasal decongestant such as pseudoephedrine if they do not have uncontrolled hypertension. 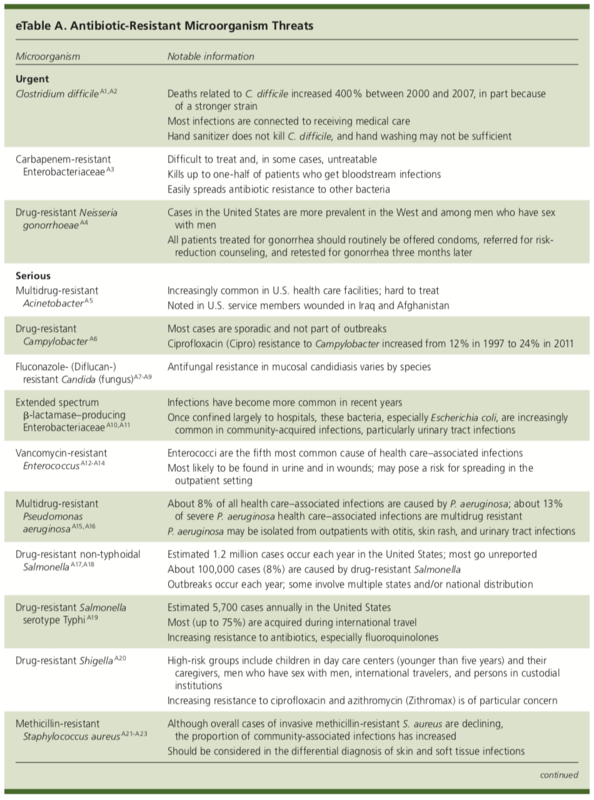 The Infectious Disease Society of America recommends Augmentin first line as resistance to Amoxicillin is increasing. Other choices include Doxycycline, Levofloxacin, Moxifloxacin, Clindamycin, Cefpodoxime, Cefuroxime, or Cefprozil. However, viruses have been seen in respiratory secretions in otitis media cases, and it is believed that viral etiologies are the cause of antibiotic failure in these instances. As you can see, there is a lot of gray area in treating acute otitis media, and when to start antibiotic therapy. If antibiotics are chosen, Amoxicillin, 80 to 90 mg/kg/d is recommended first line. If no improvement after 2-3 days, then reexamination should take place and if otitis media is still present therapy should change to Augmentin or Rocephin.1 I often see Cefdinir used in this instance as well. Sore throat is the most common diagnosis that gets prescribed antibiotics in the United States in the group of upper respiratory infections. However, 90 percent of adults and 70 percent of children's symptoms are viral in nature. For further information on the diagnosis and treatment of strep throat, see my colleague, Daniel Champigny's, article on Streptococcal Pharyngitis. Bronchitis is inflammation of the airways in the lungs that commonly presents with cough, fever, and phlegm production. The most common etiology of acute bronchitis is viral, meaning that no antibiotic should be prescribed in these instances. It is essential in these cases to differentiate patients with bronchitis versus those with pneumonia, whereas those with pneumonia require antibiotic therapy. As healthcare providers, we will see thousands of cases of upper respiratory infections. The important thing is to be able to differentiate between viral and bacterial etiologies. It is our responsibility to fight and hold firm against the epidemic of antibiotic over-prescription. For patients reading, try to listen to your health care providers recommendations. Try over the counter products as recommended, proper hydration, cool mist vaporizer use, and general good hygiene measures. A lot of these illnesses will resolve with time, and no antibiotic use is needed. Just like with most things in life, there is no easy fix. A Z-pack is not a magic pill that will make your cough or sore throat resolve immediately, especially if it caused by a virus. Hopefully, both healthcare providers and patients have gained some information from this article today. It is the job of healthcare providers to confront the issue of antibiotic over-prescription head on, but patients should be fully aware of the risks of seeking unneeded antibiotics as well. 1. Am Fam Physician. 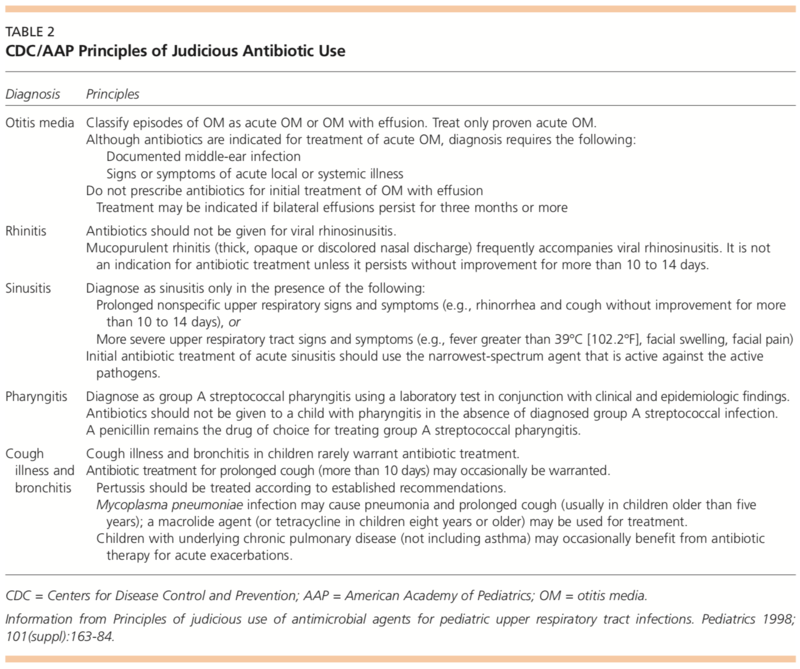 Antibiotic Use in Acute Upper Respiratory Infections. 2012;86(9):817-822. 2. Am Fam Physician. 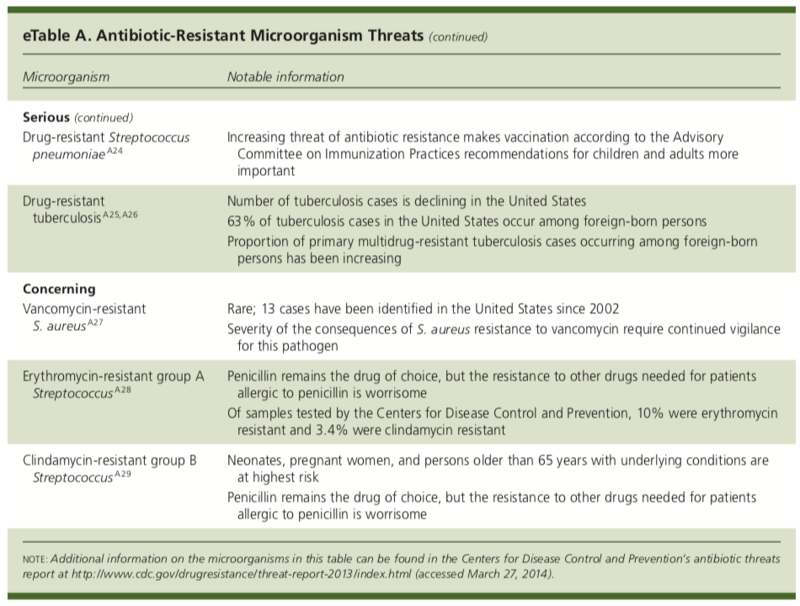 Antibiotic Resistance Threats in the United States: Stepping Back from the Brink. 2014. 3. Am Fam Physician. 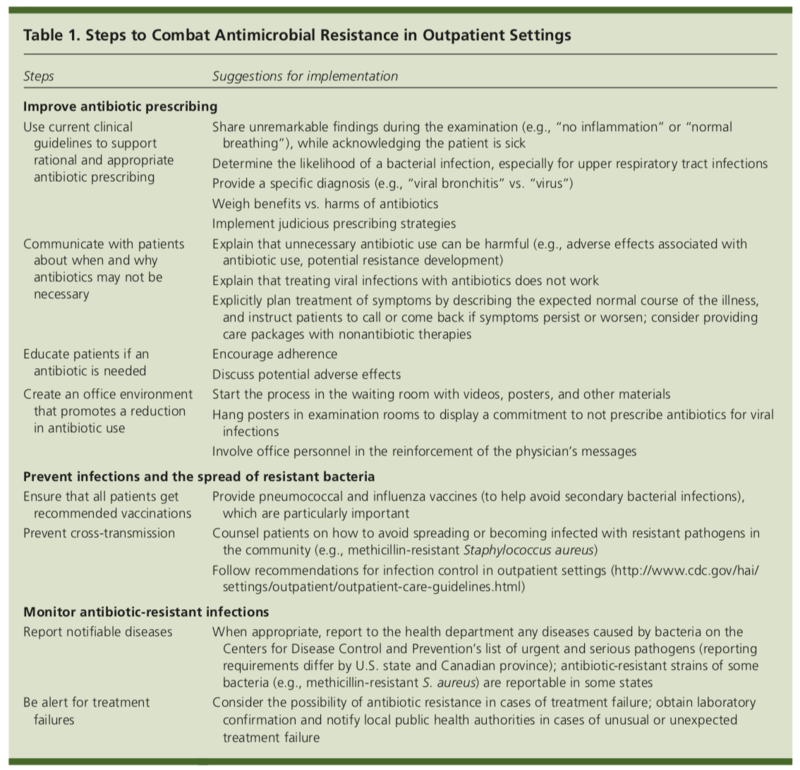 Appropriate Antimicrobial Prescribing: Approaches That Limit Antibiotic Resistance. 2001;64:999-1004. 4. Infectious Disease Society of America. Rhinosinusitis. http://www.idsociety.org/Guidelines/PatientCare/IDSAPractice_Guidelines/Infections_By_Organ_System-81567/Lower/Upper_Respiratory/Rhinosinusitis/. Accessed: February 10, 2018.